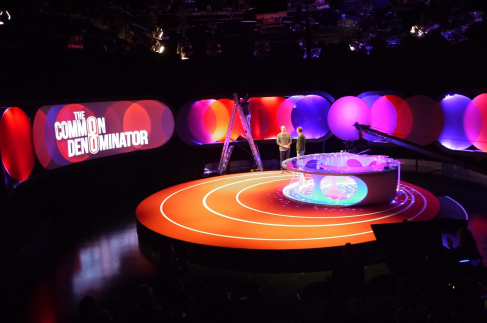 Phil Spencer hosts this brand new quiz show for Channel 4. 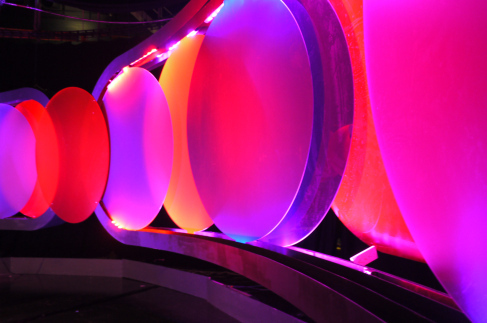 The idea is to connect things together that as first seem completely random. 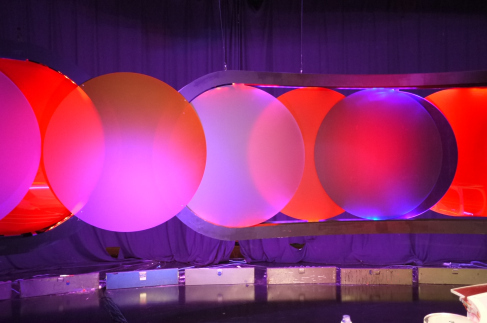 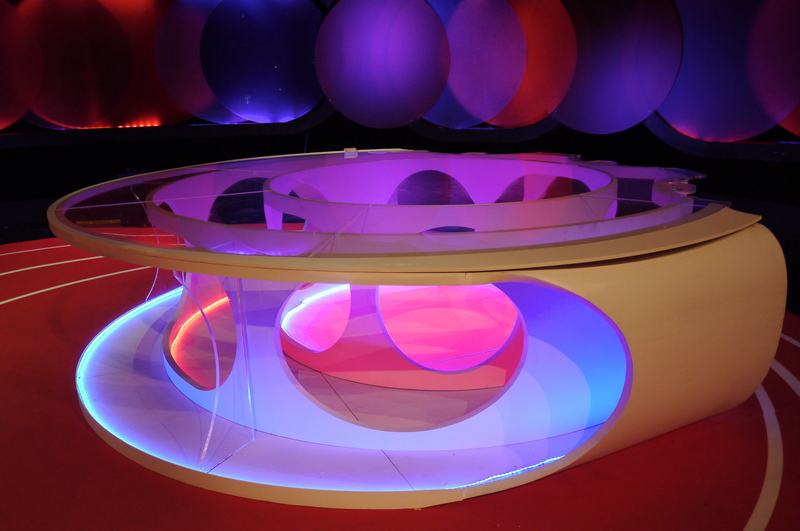 The set was designed by Rudi Thackray and features a bespoke built contestant table and huge backlit perspex discs perfectly positioned in large curved frames! The show is on weekdays at 3.30pm.